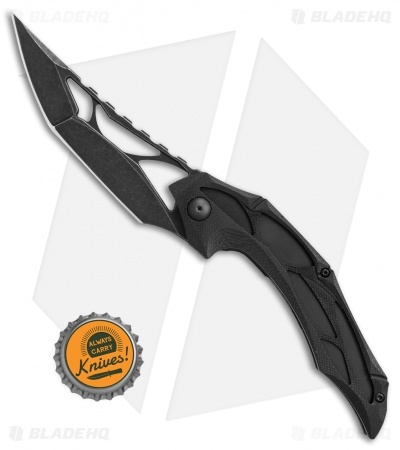 This Echelon folder is equipped with an acid stonewashed blade and a black G-10 handle. The Echelon, Brous Blades' second collaboration with knife designer Elijah Isham, adds artistic flair to a functional EDC folder that won't fail to impress. 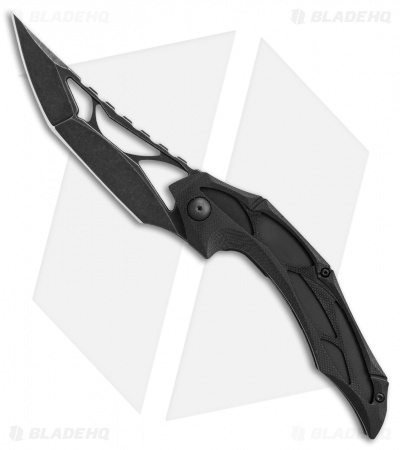 It sports a sleek D2 tool steel blade and durable G-10 handle with cutouts that create a futuristic appearance. 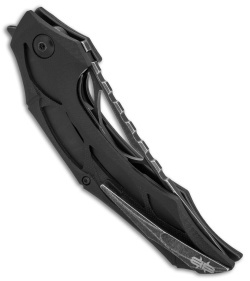 A hidden flipper tab folds conveniently into the handle when open and allows effective use of the full cutting edge. The Echelon comes built for comfortable right hand, tip-up carry with a 3D machined pocket clip. Brous bearing system and ceramic detent provides responsive, satisfying flipping action. 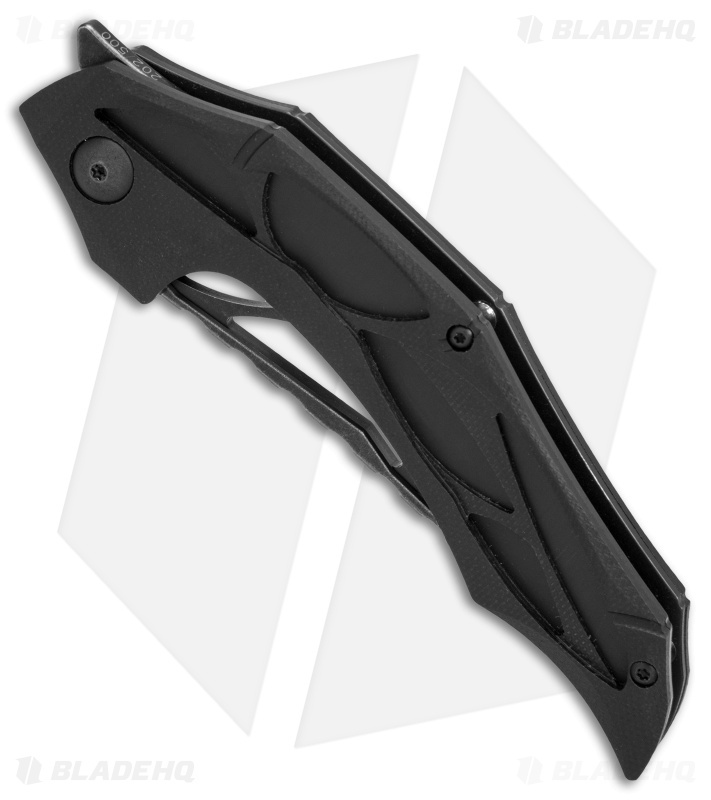 Hidden flipper tab offers a sleek aesthetic and easy access to the full cutting edge. Compound ground, D2 tool steel blade for a stong and versatile cutting edge. Great Piece. Know What You Are Buying. I'm going to hit the controversy head on and state that this piece is very nice. Perfect? Maybe not, but nothing is. Online, I have seen a great deal of criticism towards this brand, and I feel that it can be misleading. Brous Blades are designed for a very specific audience, and to state that their pieces are "poorly designed" or "useless" is ludicrous. Nobody is going to buy an Echelon to chop a tree down, so we shouldn't compare it to a piece that is designed to do that. Amusingly, most of the haters seem to never have even owned a Brous Blade, so as an owner of one, I can verify the impressive quality for a pretty good price. Great action and a wicked blade design. Could maybe use some light smoothing of the handle scales for more sensitive hands. Ergonomics may turn some people off if they plan on using this piece on a regular basis. Overall, a very interesting addition to the collection. Well done. No regrets here.